Grace is fascinated by the wolves in the woods behind her house; one yellow-eyed wolf in particular. Every winter, she watches him but every summer, he disappears. Sam leads two lives. In winter he stays in the frozen woods, with the protection of the pack.n summer, he has a few precious months to be human . . . until the cold makes him shift back again. When Grace and Sam finally meet they realize they can't bear to be apart. But as winter nears, Sam must fight to stay human - or risk losing himself, and Grace, for ever. I really did want to enjoy this. In fact, I've been wanting to read it for a while, ever since I finished the Twilight books. Sadly, this paled in comparison. Admittedly, I'm not a massive YA fan. I stopped reading teen novels when I was about sixteen, when I realised that I wasn't going to meet Mr Right in the hallway of my high school, that I didn't really care about fashion or celebrities and that I didn't actually have anything in common with these heroines. This was pretty much my problem with Shiver - the idea of meeting your "soulmate" when you're still in high school really grates me. This book had too much romance and not enough action (this coming from an avid reader of Amish romances who is currently planning her wedding...) I also didn't really like the whole idea that Grace and Sam had some sort of mysterious wolf-bond that meant that they'd actually been in love for years. I couldn't get my head around this so it creeped me out that they were all over each other from the first day they met at humans. The relationship developed far too quickly and I couldn't help but think that it would give the wrong ideas to any impressionable teenage girls reading this book. I think one of my other problems was that while this book is advertised as being about werewolves, it didn't really go into much detail about how werewolves came to exist or anything else along those lines. Other than the explaining that the transformation from human into werewolf was due to temperature changes, we didn't actually find out anything about them. I have to admit, the reason I enjoyed the Twilight books so much is because I felt the portrayal of vampires was really original and had a lot of thought put into it. Here, it felt like the author had made Sam a werewolf just so teenage girls could swoon over him and had not bothered to go into any details. I would have loved more insight about the werewolves, and I got quite interested near the end of the book when a "cure" was discussed, but this is the only point where it looked like the author was delving deeper into the mysteries of the werewolves. Other than that, everything is so vague. This book is mainly romance with a smattering of paranormal to make it seem "original". I also felt that everything was horrifically underdeveloped. Grace doesn't seem to have any flaws or weaknesses and she never expresses feelings about anything other than Sam. For example, the reader witnesses her issues with her parents but she never vocalises her feelings about them until Sam prompts her. Sam, at least, seemed to be a bit more developed and freely expressed emotions about his past, but Grace felt like a bit of a cardboard cut-out. Grace's friends were also a bit bland. Rachel was barely there, Olivia needed far more backstory and seemed to be merely there to bring certain points in the plot together, but at least Isabel had a personality that made her stand out from the others, even if she was a walking stereotype. Grace's mother started to become more interesting, but her dad might as well have not even existed. I just felt like I never connected with any of the characters, not even Grace. Sometimes I felt like I was understanding Sam, but Grace read like a stereotypical girl, minus any flaws and the typical teenage drama. I'm aware that there are two more books in this series, but I'm not entirely sure where they can go with the story as it seemed to end quite happily for our hero and heroine. Even I was pleased, despite not really caring about any of the characters. The story did pick up towards the end and I became interested in where it was going, but I still never really connected with the characters. Perhaps this is due to not being a teenager, or my general dislike of teenage romances, or simply because this was a rather stereotypical story with standard characters. Either way, I'm giving it a generous 6/10. I didn't hate it, and it held my interest enough for me to continue reading until the end. But every time my fiancé saw me reading it, I did genuinely say "It's rather lame" and proceed to make fun of several plot points. I won't be burning this book, but I probably won't be reading the second in the series either. Hmmm, I'm really on the fence with this one. I've read some great reviews (I'm sure Nat at RiSi loved is), but I've also read some - like yours - that were really disappointed with it......I may request it from the library. It seems to be a bit of a marmite book! Definitely get it from the library and see what you think of it if you're intrigued. 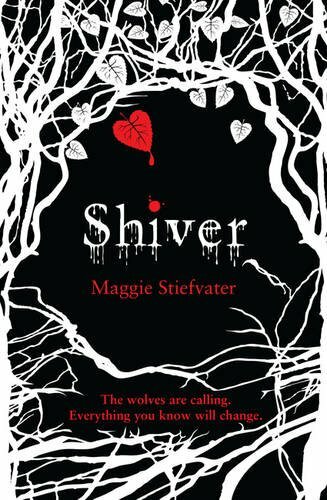 I thought I'd like this as I'd enjoyed the Twilight books but I felt it was really different - but some people in RiSi have adored it and said it was just like Twilight! But hey, YA fiction really isn't my thing - there's a couple that I love but for most of them I shudder at the soppy romantic sections. I'm not a huge Twilight fan and really really don't like Bella...........I'm going to reserve it (it seems hugely popular so I may have to wait a while) and see what happens! I got really fed up with Bella in the 2nd book, but I did enjoy the last two more. To be honest, I was more interested in the vampire wars than the romance aspect :P And yes, these books are crazily popular! I don't mind one or two paranormal books but it's insane how many have been released recently.